The white pear blossoms I shared last Flower Friday weren't the only beautiful blooms I admired on Olive Avenue in Rehoboth Beach the first weekend of spring. I also wandered across my very first camellia flowers to photograph! The beautiful bush towered so high above me that I felt like Alice in Wonderland after she drank the shrinking potion. But the card minions won't have to worry about painting this "Rose of Winter" red for the Queen - their perfect petals are among the reddest I've ever seen! Thank you so much for the feature too=)!! Thank you for featuring my pastel tulips this week! 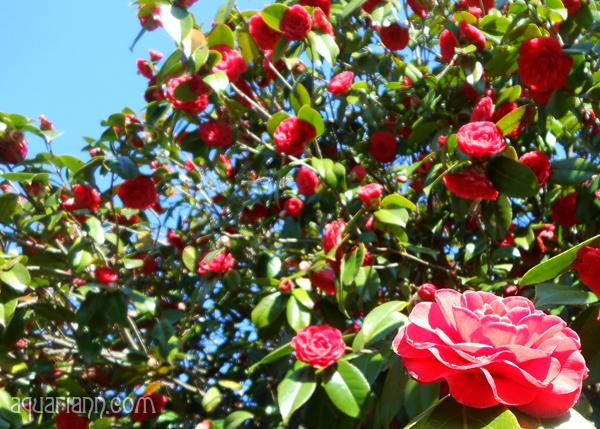 Beautiful Camellia Bush :) Thank you for hosting and have a wonderful weekend! 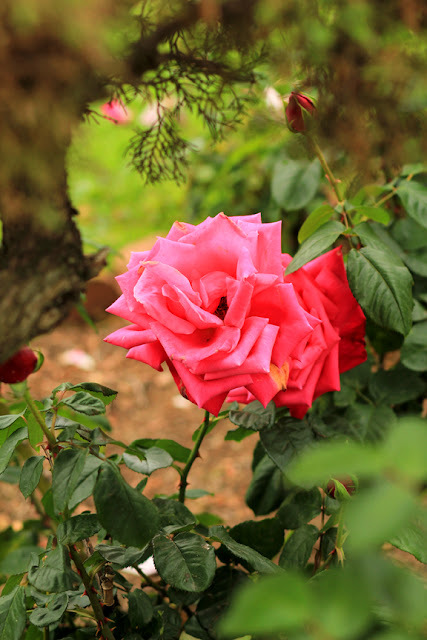 Really lovely snap of a rose bush. That is a really beautiful bush! I love the color! So beautiful! 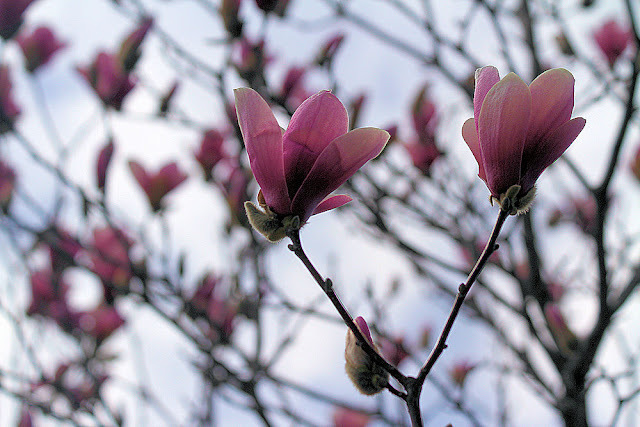 I am getting itchy to see flowers in bloom around here. I love all the floral pictures you share, the color is so pretty. I dont think I have ever seen a camellia bush! So pretty! You've given me a new type of shrub to consider for my front stoop! Didn't know there was such a thing as pear blossoms, they're so pretty!